Want to live in Canada? Good news! The Comprehensive Ranking System (CRS) has dropped the number of points a candidate is required to have in order to be issued an Invitation To Apply (ITA) for Canadian permanent residence. The Comprehensive Ranking System (CRS) has once again dropped the number of points a candidate is required to have in order to be issued an Invitation To Apply (ITA) for Canadian permanent residence. The latest draw – 12th of its kind this year – revealed a total of 762 candidates to receive an ITA on June 1, 2016. The CRS point requirement is set at 483, having decreased by one point in this latest draw. Candidates now in possession of an ITA are encouraged to submit a Canadian permanent residence application along with their accompanying family members, including spouses/ common-law partners and dependent children. The British Columbia Provincial Nominee Program (PNP) has issued 16 Invitations to Apply (ITA) in the latest draw for the Entrepreneur Immigration Stream. The draw, which took place on the 31st of May had a minimum score requirement of 133 – the same as the previous draws that took place. The Canadian Immigration Stream is tailored for experienced businesspeople looking to launch themselves in Canada via permanent residence. Candidates interested in this stream are required to invest in and operate a commercially functional business that can provide substantial benefits to the provincial economy. In addition to this, candidates are assessed based on a number of factors, including business and/or work experience, personal net worth, adaptability, and their business proposal. With the introduction of the mandatory online registration system in July 2015, the cap for all prospective applicants to the Entrepreneur Immigration stream of the BC PNP stands at 200 registrations. Under this stream, candidates are evaluated in view of various elements, including business and/or work experience, individual total assets, versatility, and their business proposition. Once entered into the selection pool, candidates with the highest score are invited to submit their applications to the Entrepreneur Immigration Stream. In turn, these applicants will be able to apply for Canadian permanent residence in BC through the PNP provided that they fulfil the requirements of the stream indefinitely. Upon the announcement of the opening of the new International Skilled Worker – Saskatchewan Express Entry sub-category just two weeks ago, the cap of 500 applicants was already reached within a mere 24 hours subsequently. This sub-category is highly popular, having been opened for the sixth time this May. Because the SINP has been opened numerous times before, there is speculation on whether it may open again some time later in the year, but nothing has been confirmed. Applicants already in the federal Express Entry pool who receive a nomination certificate are awarded 600 points under the Comprehensive Ranking System and an Invitation to Apply for Canadian permanent residence at a subsequent draw from the pool. 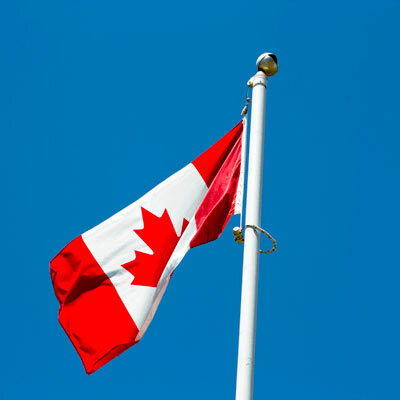 The SINP is a Provincial Nominee Program (PNP) within the Canadian immigration system.